Ever since we were founded 160 years ago we have been working in the service of enterprise. We are committed to deliver customer value, building on our strong heritage of entrepreneurship, international outlook and long-term perspective. SEB has for long played an active part in the development of societies in which are operating. SEB has formulated a long-term vision about delivering worldclass service, to grow and transform to meet a future characterised by changed customer behaviors and digitisation. We strive for our customers to perceive us as knowledge sharing, having a deep understanding of their needs, being proactive and making their lives easier. SEB focused on growing the Nordic Corporate business and strengthen the position as a leading universal bank in Sweden and the Baltic countries. As a consequence Retail banking businesses in Germany and Ukraine were sold. As the first decade of the 21st century came to a close, the world faced a financial crisis. SEB carried out a 15.1 billion kronor rights issue to strengthen its capital base and support customers throughout the acute crisis, with increased lending. 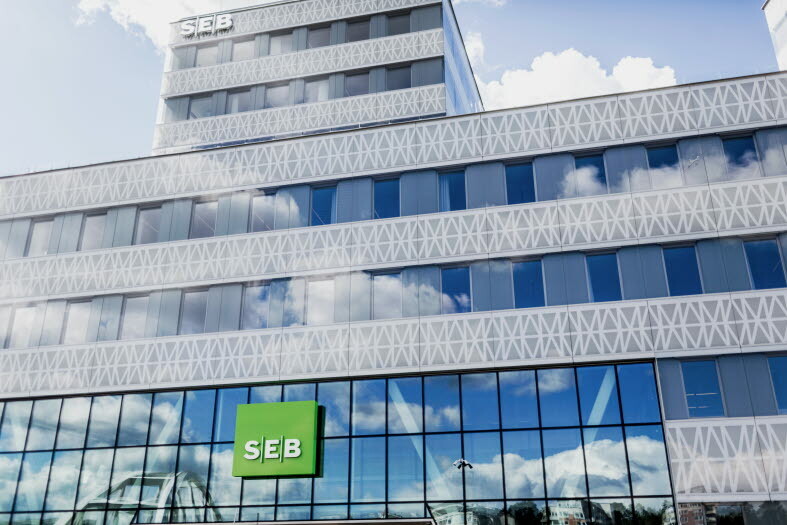 In 2000 SEB completed the acquisition of BfG Bank in Germany and bought remaining stakes in its three Baltic banks to own 100 per cent of them at year-end. More than half the banks employees were now outside of Sweden. The Swedish economy became overheated in the 1980s, causing a severe economic crisis at the beginning of the 1990s. S-E-Banken faced huge losses but survived without state support. In 1996 S-E-Banken was one of the first banks in the world to launch a complete internet bank for private clients. The bank changed its trading name to SEB in 1998. Stockholms Enskilda Bank and Skandinaviska Banken merge to become Skandinaviska Enskilda Banken (S-E Banken). A key reason for the move is to better face growing competition from major international banks. Together the two banks are stronger and more competitive. Skandinaviska Kreditaktiebolaget incurred heavy losses as a result of the international recession and the Kreuger crash. The state provided 215 million kronor in loans to the bank and it took four years to pay the money back. In 1939 the bank changed its name to Skandinaviska Banken. There is great demand for capital and Skandinaviska Kreditaktiebolaget acquires several banks to become the largest commercial bank in Sweden. In 1915 Stockholms Enskilda Banken moves its head office to Kungsträdgårdsgatan in Stockholm. Danish financier Carl Fredrik Tietgen, in cooperation with André Oscar Wallenberg, founded Skandinaviska Kreditaktiebolaget in 1864. The new bank was a competitor to Stockholms Enskilda Bank. André Oscar Wallenberg founded Stockholms Enskilda Bank in 1856 as Stockholm's first private bank and one of the first commercial banks in Sweden.